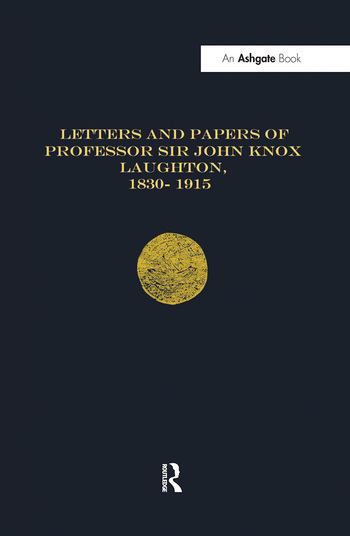 John Knox Laughton created modern naval history to harmonise the adacemic standards of the new English historical profession with the strategic and doctrinal needs of the contemporary Royal Navy. His correspondents included major figures in both the historical and the naval professions: Alfred T. Mahan, Samuel Rawson Gardiner, Julian Corbett, Cyprian Bridge and many others. This volume will be of particular interest to those interested in the development of naval history and naval theory. Contents: Preface; Introduction; ’The Scientific Study of Naval History’, 1875-85; Professor of Modern History, 1885-90; The Navy Records Society, 1891-95; Fighting for Nelson, 1896-1900; Working to the end, 1901-15; Sir John Knox Laughton’s unfinished Naval History of England; Appendices; Index. Born 31 December 1956 in Norfolk. Attended Hamond’s Grammar School, Swaffham, and then studied for his degree in law at City of London Polytechnic. Read for an MA and PhD in naval history at King’s College, London in the War Studies Department. Between 1983 and 1987 he was a lecturer in international history at Bristol Polytechnic (now Bristol West of England University) and moved to become a consultant in the department of History and International Affairs at the Royal Naval College, Greenwich, where he stayed until 1989. 1989-1991 he was a senior lecturer in war studies at RMA Sandhurst, and since 1996 has been based in the War Studies department at King’s College London, initially senior lecturer, then professor of naval history, and since 2001 Laughton Professor of Naval History, and Director of the Laughton Naval History Research Unit. He was Hon. Secretary of the Naval Records Society 1996-2005 and is a Fellow of the Royal Historical Society.